I've taken my title from King Lear, if my schoolboy-age memory holds good. 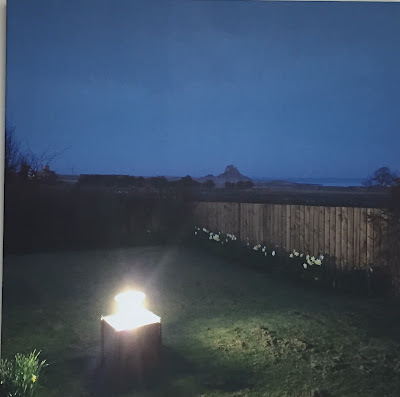 I plan to light the lamp tonight to see if any moths have been blown this way by recently-departed Storm Doris. For my third consecutive night of trapping, I moved the trap again. It has been in one, well-shaded corner of the garden, then on top of the compost heap in an open spot and now in a grassy area with trees nearby but not directly overhead. For the third time running, the gentleman callers have been Pale Brindled Beauties, two of them this morning, as shown above. 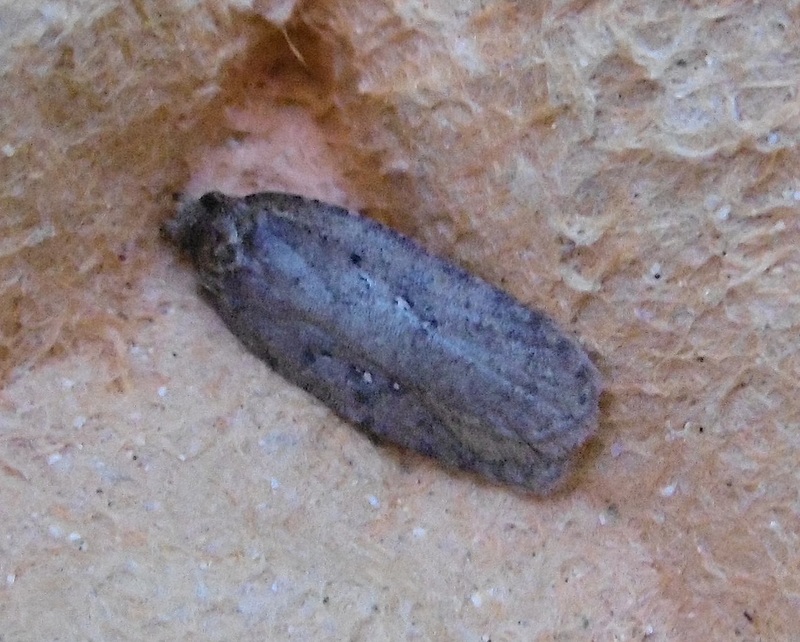 The moth clearly likes to settle on the trap rather than venturing inside, although my visitors have done both. On the first night, there were two outside and one in an eggbox, on the second night, two outside and three inside and last night, two, both outside. Another interesting fact is that the morning birds take no notice of this obvious prey, provided that the insects do not move. Nonetheless, because we have children visiting later to whom I enjoy showing moths, I have decanted this morning's PBBs into the complete security of an eggbox in the trap. While ruminating on birds' eyesight, we have started experiencing yet again a dim blackbird which attacks his reflection on the glass of our back door. Sipping morning tea, we heard a familiar, intermittent, soft 'whump, whump' and, sure enough, there are the slightly oily, feathery marks on the glass where he has done battle with his non-existent foe. It is noteworthy that this behaviour, as well as the bird's territory, is apparently inherited, although it may just be that the reflection is irresistible to that species in this place. Passing scientists, please advise. 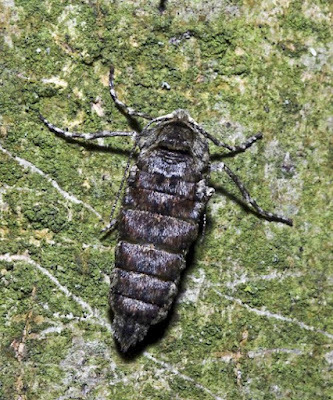 Update: when the moths were decanted after the children had examined them, this one - above - landed with its petticoats showing - the delicate, silvery hindwings which are not revealed in the PBB's normal resting position. Hooray! Mild weather at last, birds singing lusty courtship songs and February Fair Maids, aka snowdrops, fully in flower, along with crocuses and dwarf iris. Who doesn't like the seasons (and the prospect of Feb coming to an end soon)? 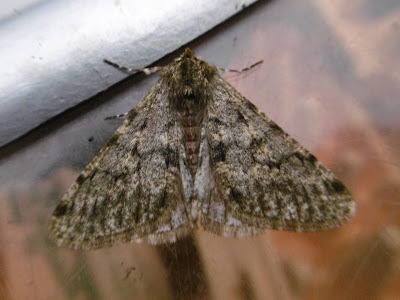 Five more Pale Brindled Beauties last night, plus the micro below which is my first head-scratching job of the year. For the first time in a couple of months, I will take my Micro Bible to bed tonight and try to sort out what it is. For the first time since Christmas, I lit the lamp last night and was rewarded by mothy visitors. Twice in January I had a go, but the weather was dismal, dank and chilly and nothing at all came to stay. It's a time of the year to clean equipment, update records and curl up in front of the fire and go to sleep. 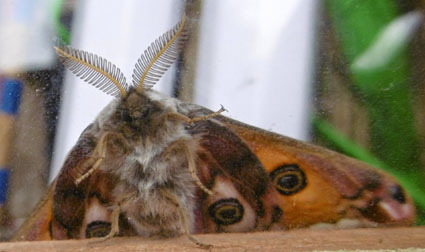 Much like a moth when it lands in one of my eggboxes, with the warmth of my mercury vapour bulb just overhead. I've also been catching up with friends post-Christmas, including one couple whom we're seeing next week after an interlude of 30 years. This is thanks to exchanging cards, through which I learned that they too run a moth trap, and in a truly spectacular place. Do you recognise it from the photo at the head of this post? It is Lindisfarne or Holy Island in Northumberland, with its spirited little castle atop of a rocky bluff. Coastal moth traps such as this are often extremely interesting as they attract immigrant species just making a landfall. Imagine flying, or being blown on the jetstream, all the way from the Continent or beyond and then spending your first night in an eggbox. A parallel, ironically, to many human migrants who get cooped up on landing. Last night's visitors to my own trap were not spectacular - three male Pale Brindled Beauties. Male and Pale, a critical term when applied to the inappropriate but tenacious majority of people on powerful bodies of all sorts in the UK. But a compliment in the context of this delicately-patterned night-flyer. 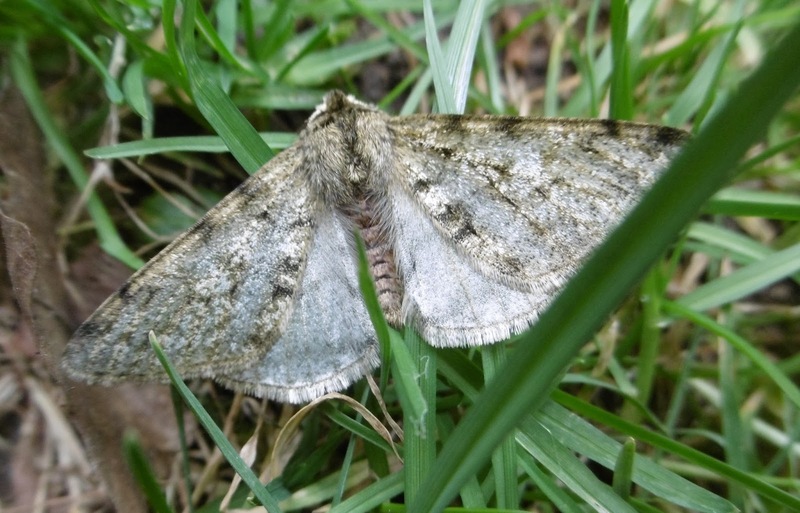 The moth is also interesting because it is one of a small number of species whose females cannot fly. They spend their short lives on tree trunks waiting for a male to alight and do the business, thus starting this modest life cycle off again. Not fair, say I. But I am not in charge of evolution.